The Software Composition Group carries out research in programming language design and software reengineering with the goal of facilitating the development of flexible, open software systems. The SCG is led by Oscar Nierstrasz and is part of the Institute of Computer Science (INF) at the University of Berne. 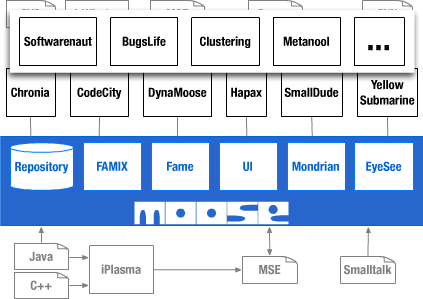 Moose is a collaborative research platform for Software Analysis and Information Visualization.